Yesterday I thought I ought to take stock of what I have committed myself to for the next few weeks. And true to form, I have signed up for four online courses. Marit's Mixed Emotions started last week and here is the first lesson completed. 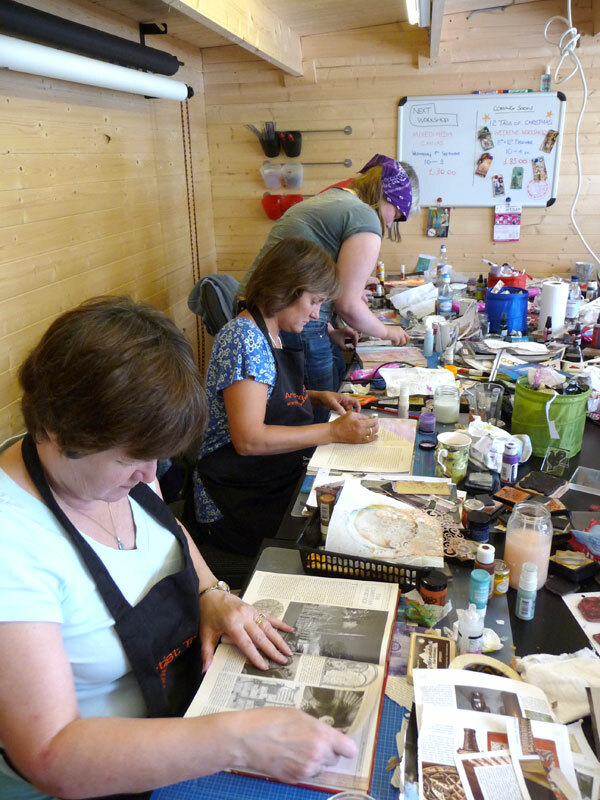 Today Dina Wakley's 'Art Journaling 103' started as did Shimelle's 'True Stories'. 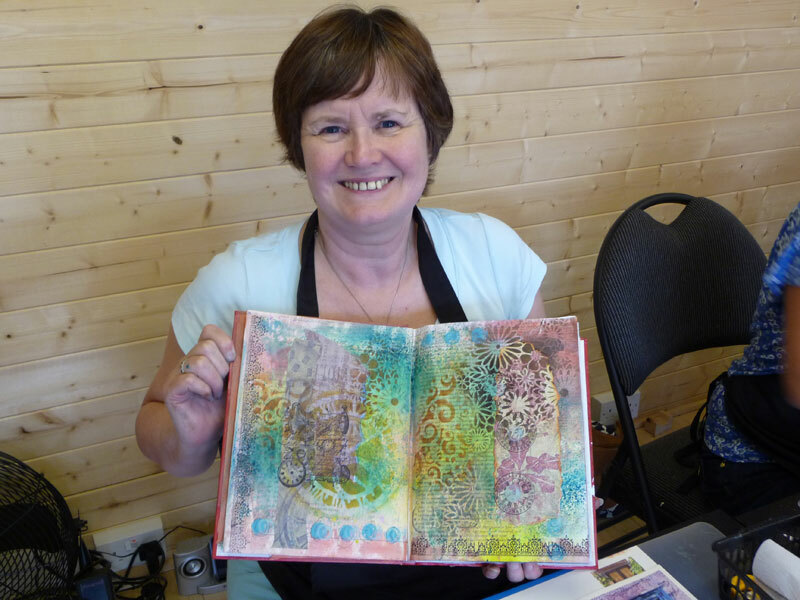 I'm already part way through a 'More Handbound Art Journals' course from My Creative Classroom ~ well, the course is part way through ~ I have only downloaded the instructions! 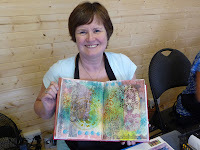 I'm also considering doing another art journaling course called 'Journal Your Dreams'. Fortunately three of the first four are over by then and the fourth will only have a couple of days left. That's assuming that I keep up to date with any or all of them!!! So I'd better get on. Need to read Shimelle's prompt and get writing! Where has the summer gone? Not just the weather, but the time! I can't believe it's been over 2 months since I was last on here. Still I'm back. Tomorrow brings the start of Learn Something New Every Day with Shimelle. I first signed up to this in 2008 and finished the whole month. In 2009 I did the title page and didn't get any further. I love online classes and I sometimes finish them. Over the summer I started 52 Card Pickup and @home with Claudine on Big Picture Scrapbooking. The former has finished although I haven't! Claudine's class is continuing for another 3 weeks and I'm already 2 weeks behind. I have signed up for a few others as well. But more about them as September continues. I suspect that by the time we're half way through September one of my LSNED pages will be about taking on too much. I have done some real life classes during the summer as well including an Altered Book workshop with Anneliese. I'm really taken with the idea of altering books - once I got over the panic about tearing pages out of perfectly good books! I am well on the way to finishing one altered book (not the one in the photos!) and I decided to do my Learn Something New pages in an altered book instead of scrapbooking like last time. I've torn the pages out, glued pages together, painted with gesso and inked. I've even done the cover.